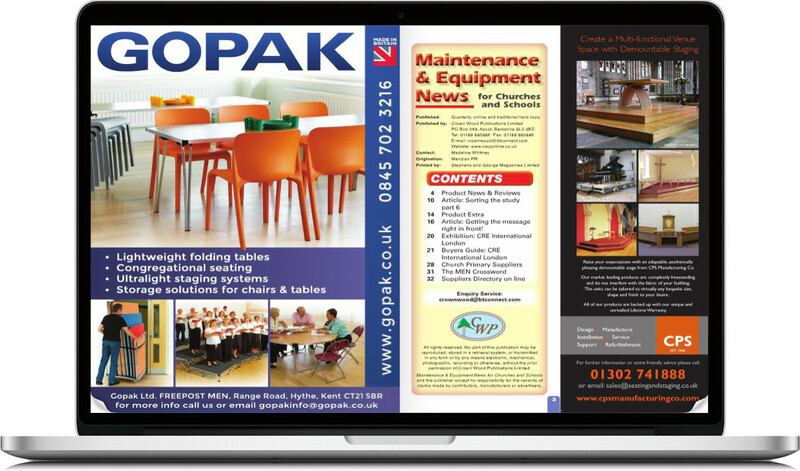 Online and traditional campaigns available to the Church, School and Leisure Sectors. Advertising, articles, case studies, product entries and primary suppliers entries are all available for the widest coverage providing an excellent opportunity to obtain quality sales leads in a targeted media campaign. Established in 1997 Meadow Mailing is a subsidiary of Crown Wood Publications Limited who publishes online and traditional magazines, news letters and a suppliers directory to the Church, School, Leisure, Conference Centre and Hotel Sectors. Addresses, online and traditional, are taken from its own in-house database which is regularly updated through reader feedback and other reliable sources. Meadow Mailing offers a complete marketing facility to organisations who wish to direct mail. Meadow Mailing offers up to 2,000 individual email drop addresses Selection – South of England, Middle England and Wales, North of England, Scotland and Northern Ireland. Shared emailing Meadow Mailing offers up to 2,000 shared email drop addresses Selection – South of England, Middle England and Wales, North of England, Scotland and Northern Ireland. Place an entry in the suppliers directory to enable visitors to scan details by name or category. Advertise online to promote your organisation to every visitor.